Owning a original, authentic and unrestored vintage car is every enthusiast’s dream. Forget body kits or special tyres, the real holy grails of classic car ownership are original parts and papers. Which is what makes this car — a 1968 Porsche 911 Coupe that was rolling around before man stepped on the moon — one of the most impressive we’ve ever seen. 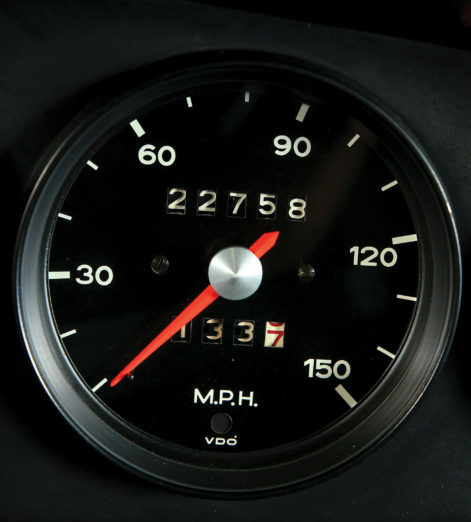 Thanks to the extensive history that has been documented with this car, we know that the first owner was T.G. Tupman of Balboa Island, just off Los Angeles. 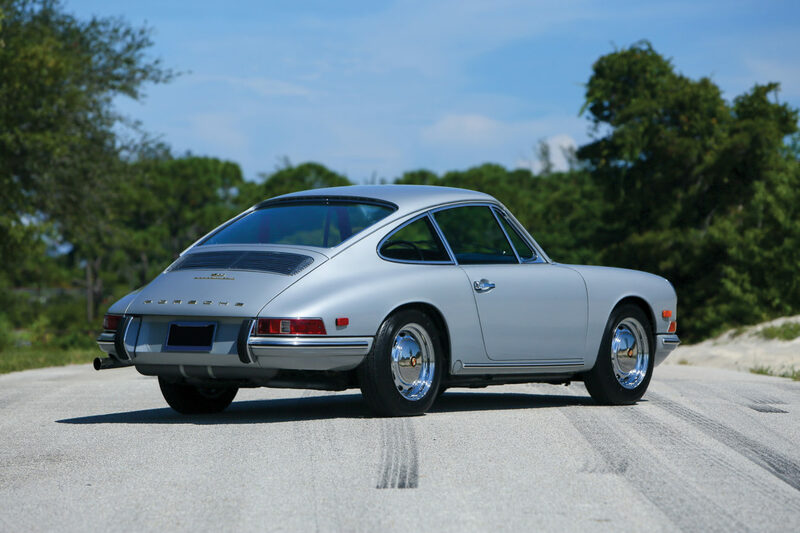 His Porsche rolled off the production line in Silver Metallic (96024B) paint and boasting an expensive $2,380 Sportomatic transmission, full tinted glass (Catacolor), bumper horns, and a radio installation package. With such a high spec, it’s no wonder Mr Tupman kept it in such good condition. But the car’s life wasn’t all plain sailing. 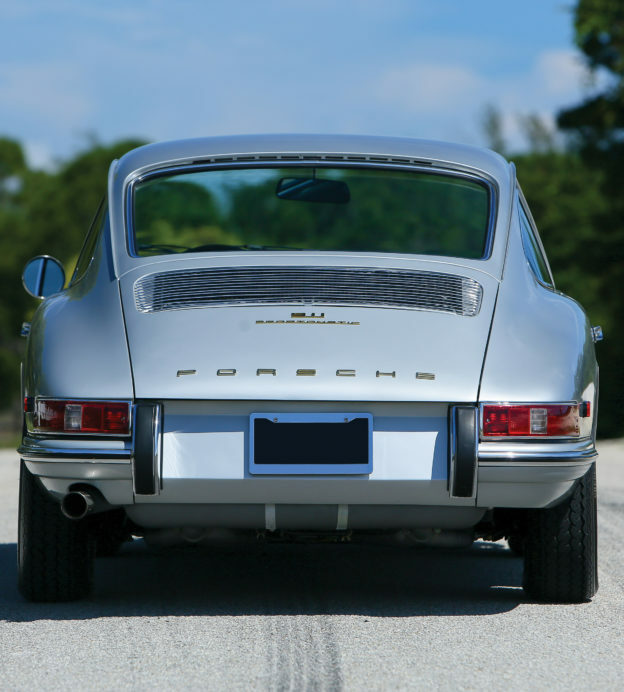 Classic car owners tend to prefer fewer owners, but this 1968 Porsche 911 Coupe had no less than four more after Mr Tupman. Yet, thankfully, all were knowledgable Porsche collectors — who ensured the Coupe kept its factory-fresh sheen. And the other figure that collectors look for — the mileage — is also incredibly healthy, at a respectable 23,000 miles from new. And the immaculate condition of this motor has not gone unnoticed. 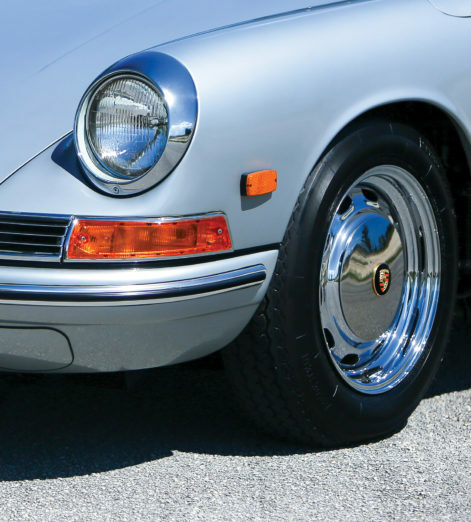 Despite still boasting its original parts, this decades-old Coupe still regularly beats out much-restored 911s at various Concours events to win the accolade of ‘Best in Show’. And for good reason, too. Just look at those original date-stamped chrome-plated steel wheels — with vintage Semperit tires. Or the painted crests on the hubcaps of the six-inch steel chrome wheels. 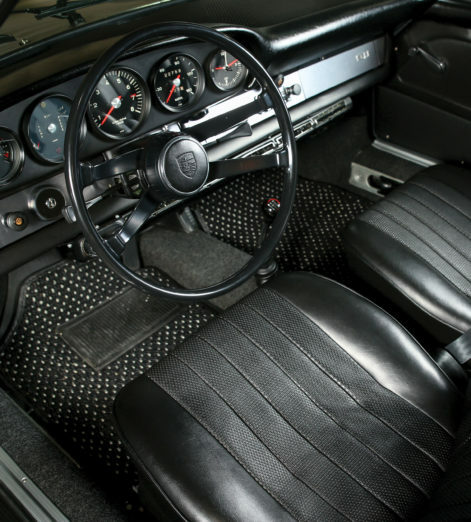 Even the black leatherette interior is in perfect condition. 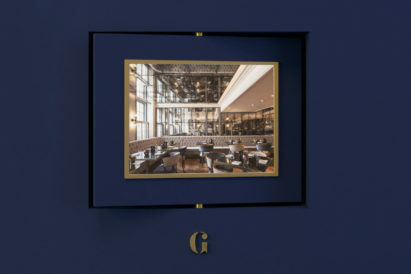 But it’s about to gain another owner. 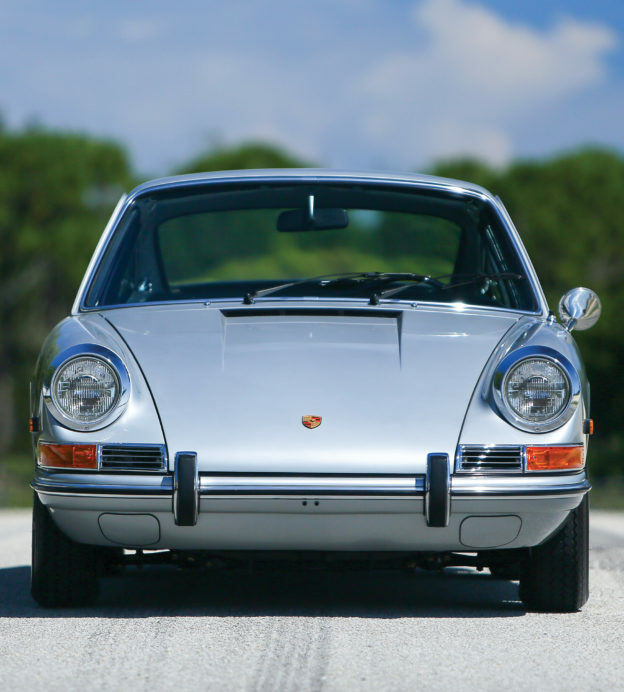 At the Porsche 70th anniversary auction being held by RM Sotheby’s on 27th October, in Atlanta, Georgia, the Coupe will be going under the hammer. However, quality comes with a price tag — and this particular Porsche is expected to reach a sale price of between $225,000 and $275,000.